Explore the intersection of glass, art yoga, and meditation in this glassblowing retreat. 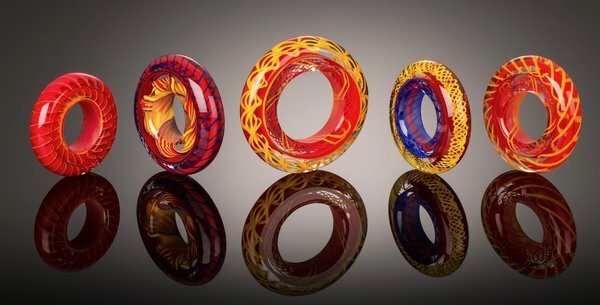 This course includes a variety of flameworking techniques, including solid, and blown, to create glass mandalas, a circular visual representation of the universe. Students will be guided through morning flow and evening restorative yoga sessions, movement breaks and journaling moments to keep the creativity flowing. Students will be encouraged to reflect, experiment with glass and to be in the moment. Students have to bring there own yoga mat and props (Props are optional, bring if wanted). Open to students of all experience levels! This is a borosilicate class.